Incoming rocket siren heard in Gaza Belt and in the Ashkelon vicinity. Three launchings identified toward Israeli territory. A series of “Red Alert” incoming rocket sirens were heard early Monday morning in the Hof Ashkelon Regional Council and in the Ashkelon industrial zone. 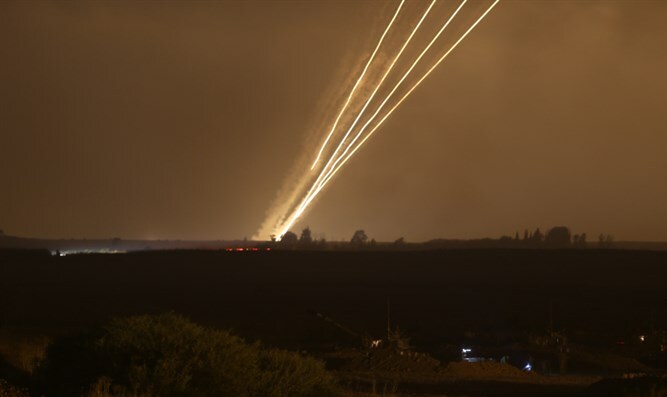 The IDF said three rockets were launched towards Israeli territory. At least one of them missed its mark and exploded within Gaza. Later on Sunday, two incendiary balloons launched from Gaza landed in in an Israeli town near the border, damaging a home. Police sappers were dispatched to remove the devices. Early on Sunday morning, an IDF aircraft targeted the vehicle of one of the leaders of the squads that launched arson and explosive balloons and kites from the northern Gaza Strip. The IDF Spokesperson’s Unit said the strike was in response to the series of arson and explosive kites and balloons that have been launched into Israel.